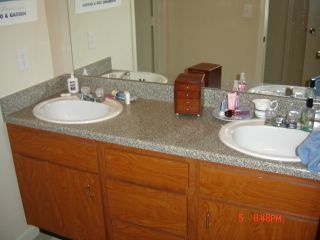 Bathroom- the toilet and shower are in a separate room off to the left. Very feminine. Or as us old guys say, "girlie".